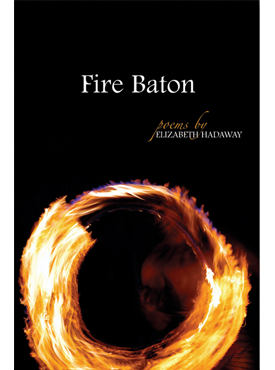 Elizabeth Hadaway doesn’t just tell stories in her poems, she aims to delight as much as instruct, and her poems are scores for performance. Sparkling with shout-outs to Beowulf and Keats, varied meters, and surprising rhymes, she lifts centuries of hurt and anger into a contrary music. Her reach is vast, including everything from T. S. Eliot to the swans on her vinyl lace shower curtains. She warns us off from stereotypes and misconceptions about Appalachia and the South. Elizabeth Leigh Palmer Hadaway lives in Kingsvill, Maryland. She was an instructor at Virginia Commonwealth University and worked as an historical interpreter at Agecroft Hall in Richmond, Virginia. She was a Wallace Stegner Fellow at Stanford University and has received scholarships to the Breadloaf and Sewanee writer’s conferences.